Hypnotist. Comedian. Funny Motivational Speaker. Make Your Event Even Better! Entrance, engage and entertain your group by hiring one of the handful of REAL (as seen on TV) stand-up comedians who is also a comedy hypnotist, combining both skills for one of the start-to-finish funniest shows ever! Imagine yourself accepting accolades and applause from your associates, co-workers and even the boss! People popping in and out of your office offering kudos and proclaiming you an "In-House Hero" just because you had the good sense to "think outside the box" and book a comedian hypnotist for your event. Doesn't your group deserve Real Hypnosis... Real Comedy... REAL FUNNY!? Comedy Hypnotist Rusty Z, "The Hypnotic Comic™" is one of the few real deal stand-up comedians doing a hypnosis show. • Here's the dirty little secret other "comedy" hypnotists don't want you to know: The hypnotizing part is easy, it's the comedy part that's tough to master! Unlike most other stage hypnotists out there, Rusty Z has honed his craft by touring the country (as well as appearing on several national television shows!) as a professional stand-up comedian. Only after successfully mastering the comedy portion of his show, did he study hypnosis (with some of the best mentors in the business, by the way). Based in Denver, Colorado, Rusty Z travels the U.S.A. (and sometimes the world) with his unique blend of clever stand-up comedy and stage hypnotism! 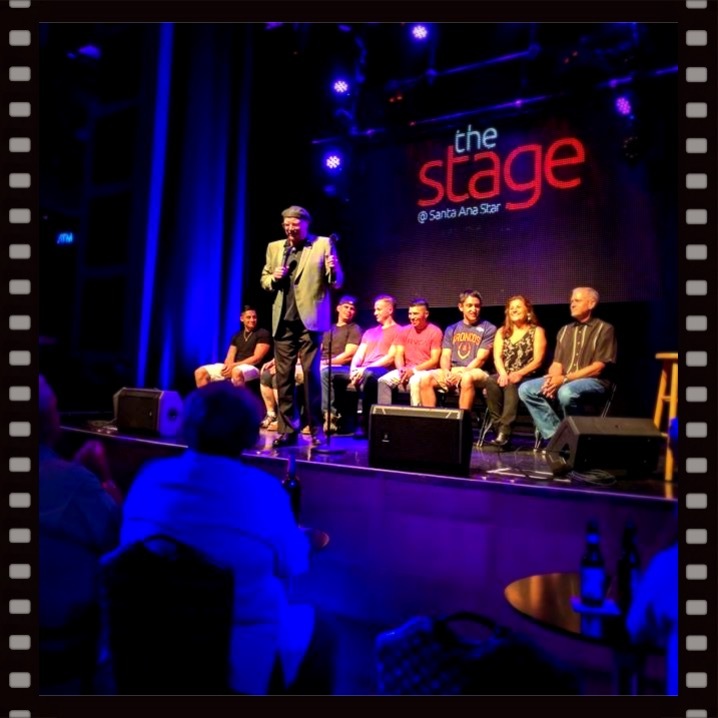 Watch the videos (there are more on the other pages), read the testimonials on this site, and see for yourself the difference a comedy mind makes in a stage hypnosis show. Then… book comedy hypnotist Rusty Z for your event. Sit back, relax and enjoy! Public shows YOU and your family and friends are welcome to attend! Private shows are for invitees only. The good news is... YOU can book Comedy Hypnotist Rusty Z (The Hypnotic Comic™) or Stand-Up Comedian James R. Zingelman to entertain at YOUR private company or association event!
" Everybody loved the show We hope to have you back again soon! "